Hospital acting executive director Paul Mark said the 140-bed State Rehabilitation Service was the first part of the hospital to open on October 4 last year, replacing the much-loved but worn out Shenton Park Campus of Royal Perth Hospital. In the past year, the State Rehabilitation Service has cared for almost 1200 patients and provided almost 6000 outpatients appointments for services such as physiotherapy, speech pathology, podiatry, nutrition and psychology. �Our rehabilitation staff do an incredible job assisting people on their road to recovery after serious illnesses, burns or major physical trauma,� Dr Mark said. To mark the anniversary, patients, visitors, volunteers and staff created a �Hands Up� poster collage of their own hands, to symbolise the many hands involved in a person�s rehabilitation. The hands are also symbolic of the �hands on� roles of the staff. 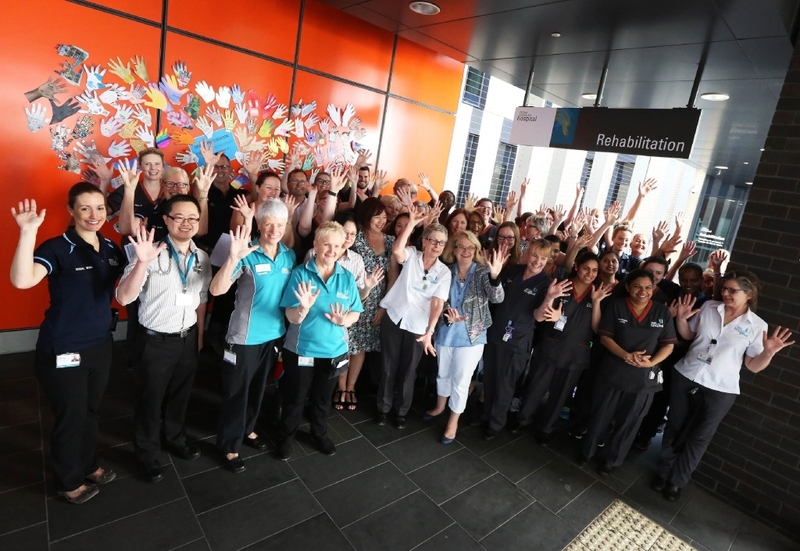 The opening of the State Rehabilitation Service was one of the first significant milestones at Fiona Stanley Hospital, when about 80 patients were transferred from Shenton Park to the State Rehabilitation Service.